Having spent days, weeks or even months compiling your precious dissertation - it deserves (and often is required) to be bound properly to present the best impression - never mind the content! It is always amazing to see an author's face when we present the bound book to them - it suddenly looks professional - business-like. And this impression is equally important in business areas as well as academic. To present your data and opinions effectively, your document should be easily readable. 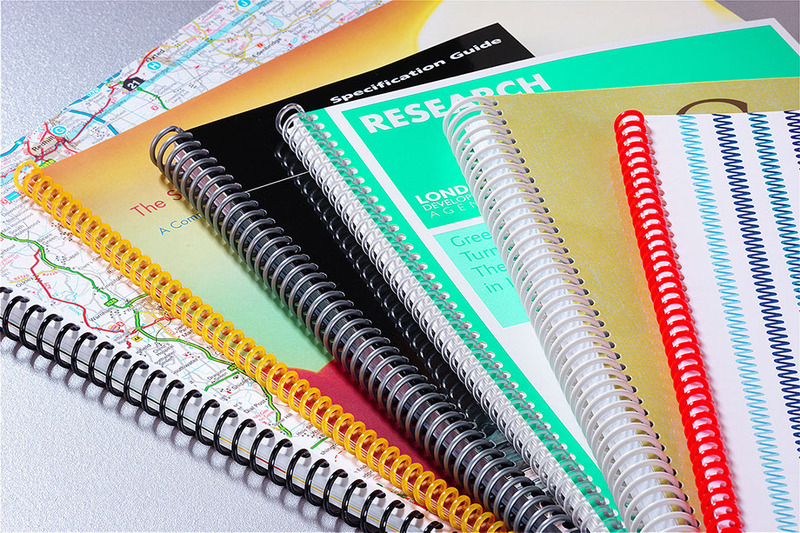 We offer wiro, comb and Sure binding, and can finish your document with clear or frosted acetate front cover and leather-look coloured card backing. Other finishing services . . .
Leafets can be gloss or matt laminated (up to A2 size) and posters can be face laminated up to A0. 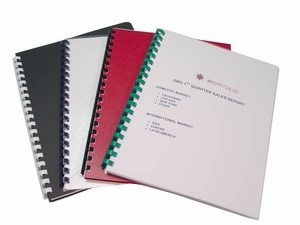 Printed material can be scored, folded, trimmed, numbered, perforated, glued, stapled, punched, collated, et.c, etc. Call for more details.